The Broderick Street location of Mexican mainstay Nopalito has shuttered for renovations, according to a statement from the restaurant. Slated to last between two and three weeks, the makeover will include an expanded bar and additional outdoor sidewalk seating, as well as a new awning and outdoor heaters. Those seeking their Nopalito fix during construction can head to neighboring grocer Falletti Foods, where the restaurant will be popping up for the duration of its closure. Expect to see an edited selection of the kitchen's offerings available for dine-in (with limited seating) or takeaway. 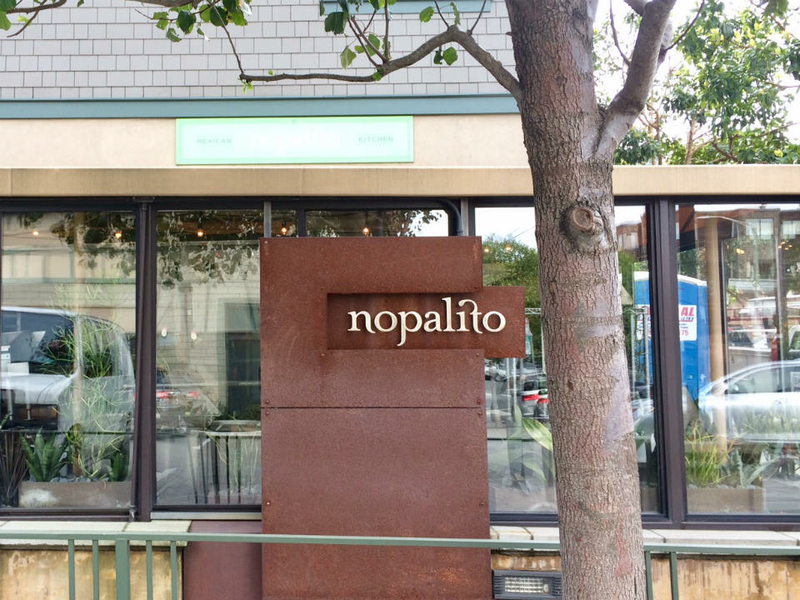 The Falletti pop-up is open daily from 11:30 a.m. - 9 p.m.
For the full sit-down Nopalito experience, there's also the restaurant's Sunset location at 1224 9th Ave., which will continue to serve the full menu. The 9th Ave. Nopalito is open daily from 11:30 a.m. - 10 p.m. Thanks to tipster Michelle G.